Norway boasts some of the world's most amazing natural wonders - from milky blue fjords to the magnificent aurora borealis and endless pockets of forested landscapes, this magical country is what dreams are made of. To showcase this breathtaking scenery the Norwegian government has invested a whopping $377 million in a beautiful series of architectural lookout points. 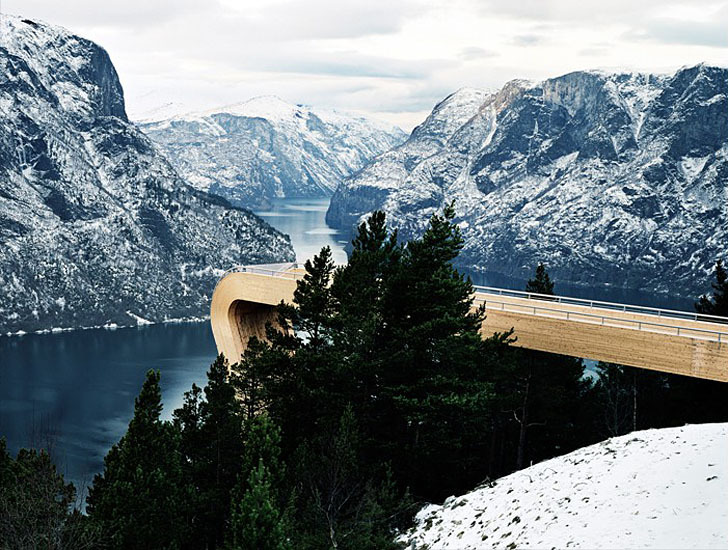 Some of the country's most acclaimed architects have been selected for the project - Todd Saunders and Tommie Wilhelmsen are just one team on the case, and the view from their striking Aurland Lookout is absolutely phenomenal. Take a look after the jump at the gallery of these awesome works that celebrate the Norwegian countryside. Spanning almost two decades, the project has invited a range of impressive designers to help give the existing 18 “National Tourist Routes” a revamp, making them even more spectacular than they already are. Another $63 million is expected to be donated by private and public partners to complete the project that was originally launched in 2002. Completing the areas with walkways, restrooms, and public viewpoints, the designers’ works will help encourage tourists to stand back and take in the scenery. After ten years, the country now has about 120 sites with more to be unveiled this coming summer. With such a massive price tag, the country hopes to lure in even more tourists and boost the Norway’s already flourishing industry. With that said, we’re sure that the stunning designs won’t hurt either! Images courtesy of Todd Saunders, Code Architects, 3RW Works, Holmebakk Architects, Manthey Kula, Juvet Hotel, Paul Warchol and Hugo Fagermo. This stunning viewpoint was created by Norwegian architects Todd Saunders and Tommie Wilhelmsen. The Aurland lookout rises an astonishing 2,133 feet above the water, and is constructed from wood. The Askvaagen viewpoint is located on the Atlantic Ocean Road near a small fishing village, Askvaagen. Designed by 3RW Works an overhanging platform brings visitors close to the waters edge from which they can look out over islands dotted along the horizon. 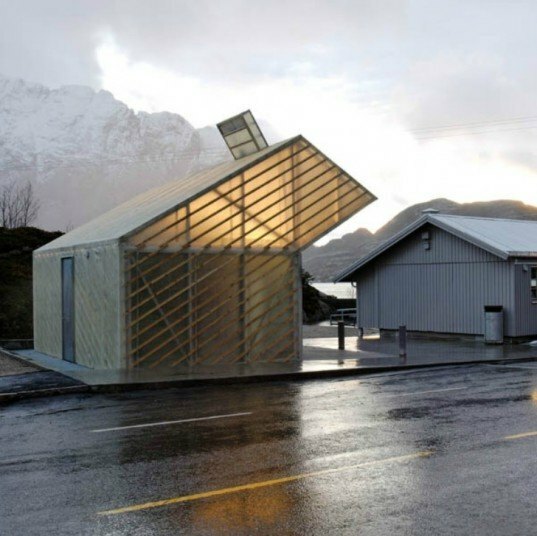 This ferry quay design comes from one of Norway's most prominent architects, Carl-Viggo Hølmebakk. The landing jetty looks like a beautiful structure to welcome incoming boats to the shore. Designed by Jensen Skodvin Arkitektkontor the Juvet Hotel in Valldal brings the incredible views into each room with enormous scenic windows.